Shuang Xi Lin Men 双喜临门 in Chinese means ‘Double happiness come to the door’ . 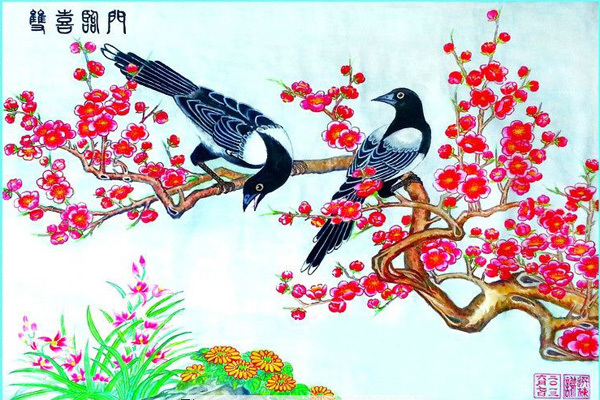 The traditional picture of Shuang Xi Lin Men use the bird magpie on the plum tree to express the meaning. Magpie, Pica pica is the bird which Chinese consider bringing good luck and happiness. 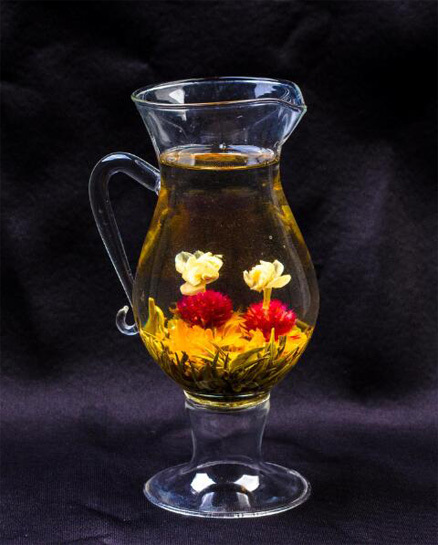 It was often used in Chinese traditional wedding.